The introduction of online shopping really changed the way a lot of people made a lot of their purchases. It started with the simple thing like clothes, and now you can buy pretty much everything online, even your groceries! While it is a very convenient way to shop, it can also become expensive rather quickly, especially if you live in a country where shipping charges are even higher than usual. That is part of the reason why shopping directly from China has become such a popular option. Many retail stores and even online stores get their products from manufacturers in China. It would make sense then, to buy right from the manufacturer or supplier in China yourself, and skip all of the markup costs. There is a lot of merit to this idea, and it can work out extremely well in your favor and end up saving you a lot of money. It can also be risky, time-consuming, and ultimately disappointing if you don’t take the necessary precautions to buy from proper sellers and companies. Some of the biggest problems that customers tend to face are poor quality and false advertising. These issues are especially present with online clothing stores. At this point, there are too many to count, and they just keep popping up everywhere. Some very popular ones are RoseGal and SammyDress, but there are so many others. If you take some time to look around these stores, you’ll find that they all actually have a lot of similar products or even exact duplicates. The photo attached to the item will be identical, but the sizing, price, and description may differ a little bit. If this doesn’t automatically raise a red flag with you, then perhaps the reviews these companies receive will. You can go on Facebook, Twitter, Blogs, anywhere really, and see the same thing. Women after women are angry, upset and extremely dissatisfied with their purchases from these stores. They will say that the clothing they received is very poorly made and uses terrible fabrics. There are actually a lot of reports of orders not having arrived at all, with absolutely zero response from the company and no refunds issued. You should be very aware of companies like this, they use fake photos and imitate the item with their own cheap fabric and poor stitching. While clothing purchases can be extremely risky, there are a lot of great things you can get from China safely, and at a great price. There are some very legitimate and reputable websites that will sell a wide variety of products to you directly from China, at very cheap, often wholesale prices. The only drawback to this can be the long wait times as it has to ship very far. If you do not need your item immediately, however, it is often worth it for the savings. Aliexpress.com, DX.com (deal extreme) and BangGood.com are examples of the best Chinese online stores. 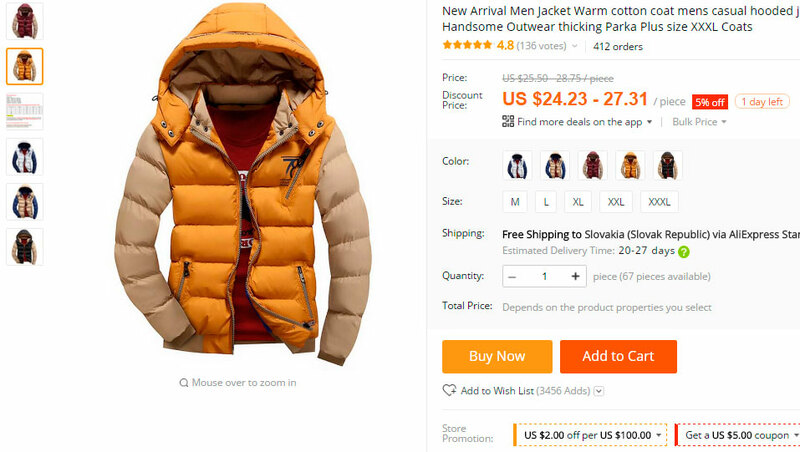 Unlike the clothing stores that will try to scam you, these sites receive very good reviews, and they operate like a professional store would, online or otherwise. These online stores are fantastic too, for getting a huge variety of products. From clothing to home improvement, to games, sports, and cell phone accessories, your chances of finding what you need are pretty good. Some items may be subject to taxes, duties, and VAT costs. Online shopping in China can be a great way to save a lot of money, you just have to be very careful to do some proper research and avoid being scammed. You also have to be willing to wait quite a long time in most cases, as the low price and often minimal shipping costs will mean the item won’t be in any rush to get to you. If you find the right store, though, your experience shopping online from China can be a great one!